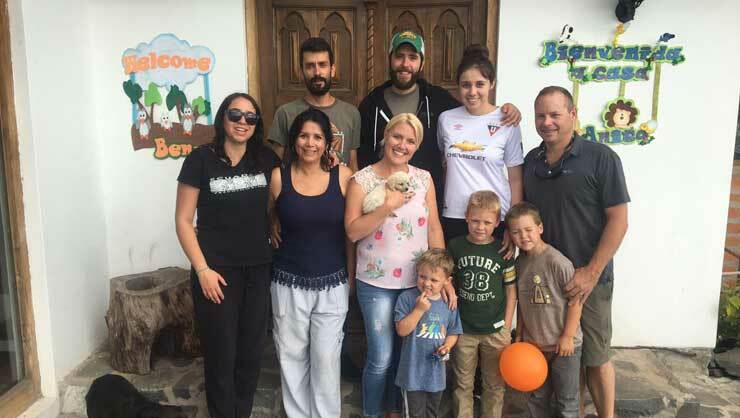 Host family Hubbard traveled from New York to Ecuador to meet their au pairs' families. 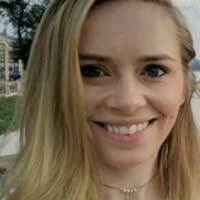 Local Coordinator Nina, of upstate New York, is constantly impressed by her host families and au pairs. 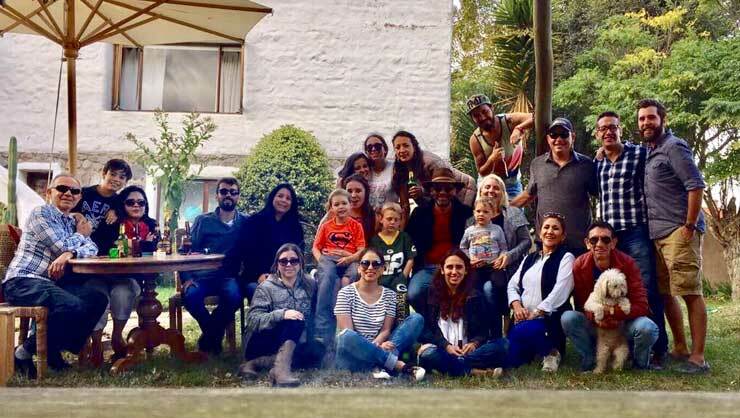 One of her host families, the Hubbards, recently traveled to Ecuador to visit both their outgoing and incoming au pairs. This story is more common than you think- many of our au pairs and host families make international trips to see one another! It warms our hearts to watch our host families and au pairs create such a strong bond. Stories like this are what the au pair program is all about. Local Coordinator Nina tells us more below. 2,951 miles separate Ballston Lake, NY and Ibarra, Ecuador and yet three families became fast and joyful friends because of the au pair program with InterExchange. Last August, the Hubbard family had to let au pair Ana go home after two years with them. It was the perfect conclusion to a successful au pair experience, but the Hubbards wanted to go one step further. Ana lived with the Hubbards taking care of their three boys for two years, and it was an extremely successful au pair year- the Hubbards loved Ana and Ana loved all the Hubbards. The Hubbards are a welcoming family and they hosted Ana’s mom twice while Ana was their au pair. Both times that Ana’s mother visited, she invited them to Ecuador. One Sunday evening, the family was discussing their monthly goals of education and fun. The parents asked the boys if they would like to visit Ana’s world, learn about her culture, hear Spanish spoken all day, and see the country she loves so much. No further discussion was needed! At the ages of eight, six, and three the Hubbard boys went to Ecuador, a possibility never imagined two years earlier. The Hubbard family on their Ecuadorian adventure. 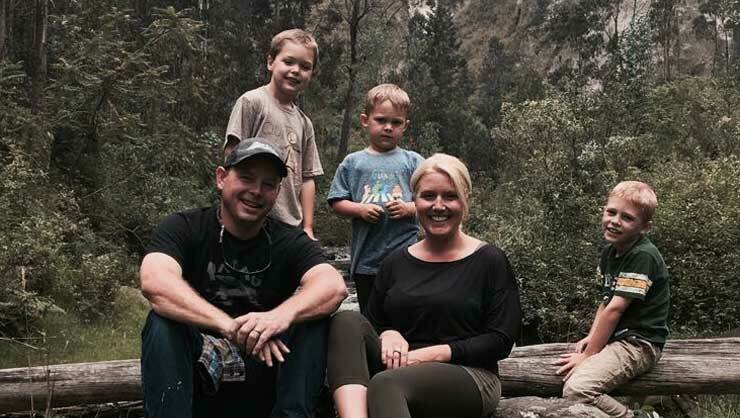 The Hubbards were in Ecuador for ten days visiting Ana’s family and friends. They also visited their next au pair, Carolina, and her family. They enjoyed learning another way of life, eating traditional dishes made with rice, beans, and corn daily, and the warmth of the Ecuadorian people. 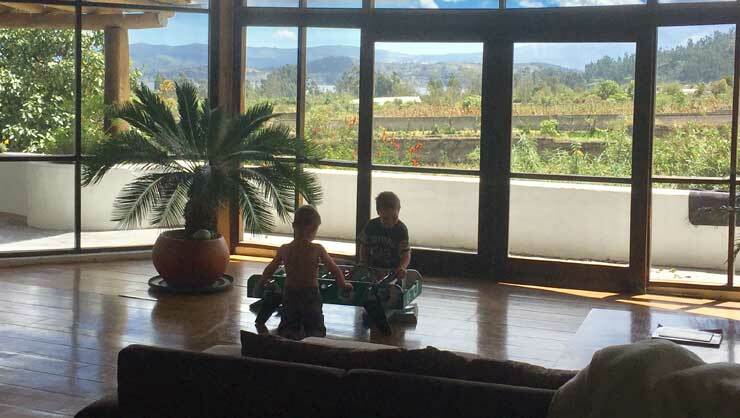 The little ones enjoyed a room with a view while on vacation. Host mom Sarah said the best part of the trip was that it was an authentic experience. They were not tourists. The adventure culminated in a family BBQ for 28 people- the five Hubbards, Ana’s family, and Carolina’s family, with everyone speaking a smattering of English and Spanish. The au pair program connected multiple families and cultures for one big meal together. That is the best ending for a great au pair experience.